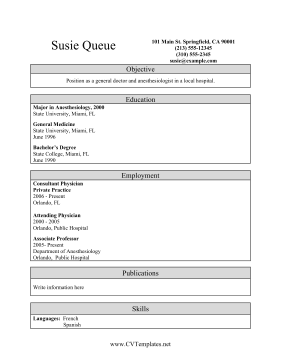 This Medical CV Template is great for medical students just entering the field of medicine. Surgeons, doctors, nurses and general physicians can use it to showcase their degrees and doctorates, as well as relevant experience. It is formatted for Letter-sized paper.